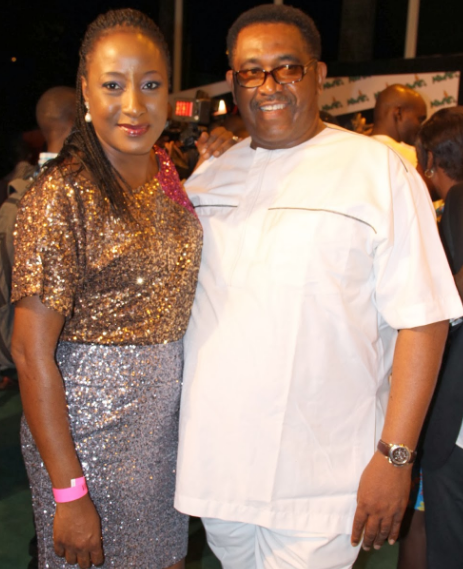 One of Nollywood’s most talked about couples, Iretiola and Patrick Doyle called their relationship quit a while back but the report leaked to the media last week after the actress relocated. While the reason for their break-up is still unclear, sources said Patrick and Ireti ended their relationship after thoughtful consideration and chose to remain friends. According to Kemi Ashefon, some of their colleagues who worked with the duo while in NTA expressed surprise at this development. Peer pressure? A 50-year-old whose first daughter is married (she had Bimbo at 17) can’t simply fall into that trap. “Why wouldn’t we call it peer pressure? We called the husband and he said there was no problem before she decided having a separation. Ireti would tell you that her husband is easy-going—Patrick is loving and not fussy. Before they got married, he was always helping her to have a hang of what television, presenting and acting was all about. He was the one taking Ireti from one studio to the other when he was at NTA and made sure she got her footing right in television production. He was her pillar of support from when she was nobody. I remember many years ago when Patrick lost his wife. We were surprised at his decision to remarry early and we all saw how she also rode on the wings of his fame and name. Now that the media is tagging her an A-list actress, she now has high-class friends and her taste has changed to urbane lifestyle. She was led astray by her friends and we believe she would return to her husband when her so-called friends betray her,” an anonymous source close to the family revealed. The estranged couple is yet to issue any statement due to the fact that they are taking respectful and loving space at this painful time. I FEEL so bad whenever I read of a marriage that comes to an end. This is partly because love gone sour is naturally painful, and partly because any other marriage contracted after this failed one is adulterous. The third thing that saddens me is that most people remain oblivious of this, or rationalize it with human ideologies. May God illuminate the minds of His people, that we may not perish with the lost world! Love turned sour, its a pity. THEN IT MEANS, YOU ARE MARRING THIS PERSON OUT OF PITY. IF YOU MARRY THIS PERSON IT MEANS THAT YOUR MARRIAGE BASE GIFT YOU ARE GETTING , BECAUSE MEN ARE BUYERS. IF NOT HE WOULD NOT MARRY YOU NOT TOO LONG THAT HIS WIFE DIED. HE IS A VERY HEARTLESS MAN, WHO MARRIED IRETIOLA MI, OUT OF PITY AND GIFT TO BUY HER, HE IS A SLAVE MASTER. THEN , WHEN HE MARRIES HER , HE END UP PLAYING BY THE DOOR , HE HAS NO KEY TO GO DOWN FLESH TO FLESH RAW DOWN . OH MEHN AH AH AH . SO, HE IS NOT SUITABLE FOR THE MARRIAGE. THIS IS WHAT YORUBA ,OH MEHN, OH MEHN . I WANT TO SEE YOU WITH MR JACK THE LAD, SHARP SHOOTERS. I HAVE TOLD YOU ALL THAT I AM ERANKO WHO TALKS SENSE.